Find a rental with the least amount of stress in the shortest amount of time! A trained professional working the rental market for over 15 yrs will save you time & money while finding the right place to live. You’ll be provided info on apartments that best meet your needs. A FREE & PERSONALIZED service! Repair most general home appliances throughout the KC metro area. Appliance repair throughout the KC metro area. Architect licensed in KS and MO. Offering solutions for homeowners and small businesses looking to add on or improve existing spaces. Specialize in home additions, in-law suites, kitchen and basement design as well as deck and porch design and exterior upgrades. Assembly and disassembly of furniture, exercise equipment, recreational goods, installation of appliances, blinds, shelves, etc. Picture hanging, baby proofing and custom crating services also available. We understand that there is no one-size-fits-all approach to handling family law issues and that effective representation requires taking the time to listen to our clients about their families, needs, goals, and expectations. Aggressive representation to protect client rights. Providing criminal defense and family law services to individuals throughout the Kansas City Metro area. Areas of practice include: estate & gift planning, wills, living wills, & advance directives, probate & trust administration, asset protection planning, business succession planning, estate & gift taxation, pre & post-marital agreements, property agreements and deed preparation. Counsels and represents clients throughout the entire litigation process from pre-suit risk management or arbitration, trial and appeal. Serving Kansas City for over 30 years. Customers enjoy peace of mind with the 24 month, 24,000 mile warranty and the convenience of a free loaner car while yours is being serviced. They specialize in fixing problems right the first time. Complete auto repair business for foreign & domestic vehicles. Pickup & delivery or free rides (in KC area) offered as well as loaner cars. Part of the BBB & AAA approved. Lunch & Learns offered for companies on car maintenance as well as car care clinics. A family owned business where the customers are #1! Offering commercial and residential cleaning of carpet, tile and grout, upholstery, and area rugs. Also clean hardwoods and provide carpet stretching and repair.They use only non-toxic, biodegradable products to ensure a healthy indoor environment for family and pets. For your health, for your home, for your family. They use deep-steam extraction to remove allergens and chemical residue left behind by previous cleanings. Also offer upholstery cleaning, pet odors, Oriental rug cleaning, tile/grout cleaning, and sealing. Serve the entire metro area and provide complete carpet, upholstery, tile & grout cleaning, water damage restoration services as well as sales and installation of all flooring products. Also offer repairs and stretching. Preparing fresh and affordable food at your convenience in your environment. Full service mobile unit allows food to be prepared on site ensuring quality and freshness. Custom sweets and treats for every occasion! From the biggest accomplishments to the smallest "high-five" moments, there's always an occasion to celebrate with a sweet treat! Our mother-daughter team creates from-scratch desserts, and we would be honored to add some sweetness to your special occasion. Check out our facebook page to see our menus, or send us a message to order your custom cupcakes, cake-balls, cakes, chocolate-covered pretzels, and MORE! Our treats also make GREAT gifts. Cakes, cakes, cakes.... Big or small, I make them all!! If you need a Birthday cake for 20 or a wedding cake for 500; I’m the gal to call. Let me make the perfect cake for your celebration! An updated, yet soulful restaurant incorporating lighter cooking techniques to the classic dishes of South America and The Caribbean. A wonderful gathering place for friends and family with lunch specials that are sure to please. Catering services also available! Chimney Medic is fireman owned and operated. They have been in business since 1998 and serve the entire metro area. Providing the Kansas City Metropolitan Area with comprehensive chimney services for nearly 15 years. Services protect and add value to the properties of clients. You can trust them to inspect, diagnose and repair any issue they may discover. Specializing in pediatric and perinatal chiropractic, also treating anyone else in the family through acupuncture and nutrition! Find answers, products, services, training, support, and encouragement to help you deal with the concrete, brick and stone issues in your life. Full showroom with examples of finishes and design help. Specializing in basement, bathrooms, kitchens & additions as well as architectural drawings & design, project construction & management. Commercial and residential class B general contractors. Able to work on Kitchen, bath and basement remodels, can custom any room additions or add on to existing space. Meticulous Matt is a Finish carpenter. He can do cabinetry, trim,built-ins, stairs, decks and patios. Serving the KC Metro area! One phone call to Lighthouse Renovation hires professionals who complete your entire “To Do” list. Every task—whether major home repair or minor home improvement—is prioritized according to your needs. Interior Carpentry, Exterior Carpentry, Electrical, Plumbing, Tile, Drywall Repair, Ceiling Repair, Painting and Custom Small Projects. Joined the KC home remodeling industry in 1988 as a residential renovation and restoration firm. Today the company serves as the parent organization of a family of remodeling brands (Wineteer, MODbath, and LifeWise Renovations providing KC and the surrounding areas with second-to-none customer service, design, and building services. Full service accounting. Specializes in financial planning, real estate & tax services. Airs the most listened to financial program on KMBZ 98.1 FM every Sat. from 1-3pm. Has accredited ed. courses in all 50 states. Will answer any tax or financial question FREE! Just call anytime from Apr 16th-Dec 31st. Years of experience in the field, Matt Bellomo focuses on accounting, tax and consulting for business owners and individuals. Specializes in assisting companies with their accounting function, streamlining this process for the small to super small company. Also specializes in tax planning, projecting, and preparation. Provides regular accounting services to small businesses using QuickBooks. As an Advanced QuickBooks ProAdvisor, they ensure small business owners receive accurate, timely financial reports so they can understand and adjust the financial health of their business. Jay has developed an awareness of what his clients want their clothing to be: modern, simple, and fashionable. Most men want to have a look that fits their lifestyle, business and social life without the hassle of going to the store, so they come to you! Dedicated to the patient’s cProvide comprehensive and individualized dentistry of the highest quality with an emphasis on impeccable customer service so you can achieve a lifetime of optimal oral health.are and cAt Arbor Creek Dental our Mission is to provide comprehensive and individualized dentistry of the highest quality with an emphasis on impeccable customer service so you can achieve a lifetime of optimal oral health.omfort. They always work hard to make your dental experience pleasant and comfortable. Comprehensive dentistry including family, implant and cosmetic. Practice combines a cozy atmosphere and small town feel with state of the art dentistry. They accept most major insurance plans and welcome new patients. Specializing in Nephrology (kidney) care and high blood pressure. Dr. Crabtree is board- certified in Internal Medicine. She is a member of the American College of Physicians, American Medical Association and more. Sees out patients on Monday, Wednesday and Friday at the St. Joseph Medical Center Campus. Skilled team of pediatric specialists offers comprehensive medical care for infants, children and adolescents in a family centered environment. Kansas City Eye ClinicStephen and Rebecca Nichols O.D. Total eye care services including everything from general eye exams to state of the art surgical care. Also offering contacts, glasses and refractive surgery. Not only does Sage Restoration cover your water, smoke, fire and mold damage but they do a great job cleaning vents too. Provides superior care that is compassionate, professional, and affordable so our clients can maintain their independence at home. Reinvention of what it means to live in a retirement community. Community that promotes quality rehabilitation services and quality senior living. Provide the full spectrum of hospice services for people nearing the end of life. The team includes registered nurses, social workers, physicians, home health aids, chaplains, volunteers and more. A new approach to service to seniors and others who have illnesses and limited mobility. They tailor individual plans according to each client’s specific needs and wants. Master Electrician serving the Greater KC metro area. Provide energy audits, insulation and home efficiency solutions. Providing a quality and professional performance for all ages and clients. Prompt, courteous, and fair to all and striving to make all experiences positive and a memorable occasion no matter the size of the audience. Family run estate sale company that provides personal property solutions for KC families. Turn-key services maximize the value of property. Service club that conducts estate sales. Charitable organization where percentage of proceeds goes to the JCCC nursing scholarship and the rest goes to seller. Veteran owned. Installation of ornamental, wood and chain linked fences. Free estimates. Independent financial planning and investment management firm, managing assets for individual investors, their families and retirement plan sponsors nationwide. As a fee-based advisor, they adhere to a strict Code of Ethics and embrace the Fiduciary model, which ALWAYS puts the client’s interest first. Searcy Financial is an independent financial planning and investment management firm passionate about viewing clients’ wealth from their perspective to help them achieve success on their terms, where they stand. They deliver long-term financial strategies for individuals, families and business owners to help guide their financial decisions while adhering to a strict Code of Ethics and embracing the Fiduciary model which ALWAYS puts the client’s interests first. At Mariner Wealth Advisors, we’re your advocate. We believe everyone can benefit from professional wealth advice. As your advocate, we strive to help you make informed financial decisions on your path towards living a richer life. Mariner Wealth Advisors is a privately-owned wealth management firm, headquartered in Overland Park. Provides clients with knowledge and advice needed to help achieve their investment objectives. Offering tax-saving advice & investment strategies aimed at individual investment objectives and risk tolerance. The client’s success and satisfaction always comes first. Strives to create a world-class fitness facility driven by a diverse community of people committed to working hard, having fun and achieving results. Personal fitness coaching studio teaching you how moving right and eating clean can permanently build lean muscle, increase strength and reduce fat to achieve long-term health. More than just trainers, but personal fitness coaches who embrace a holistic model. World class personal training, yoga and fitness classes conducted by certified personal trainers and registered yoga instructors. Nutrition consulting also available. Spending the last five seasons as a strength and conditioning coach for the Los Angeles Dodgers & coaching at the A, AA & AAA level. Paul has spent a lot of time with the Major League player and the "everyday" person helping them improve their overall health and fitness. Paul earned a bachelors degree in Kinesiology from Kansas State University. He has recently moved back to the Overland Park area to continue his passion in the strength and conditioning industry. Call today to get started! National name brands of carpet, tile, vinyl, hardwood, and more at “warehouse” pricing! Their hardwood refinishing is second to none with over 12 different types of finishing, along with stair treads and iron spindles! 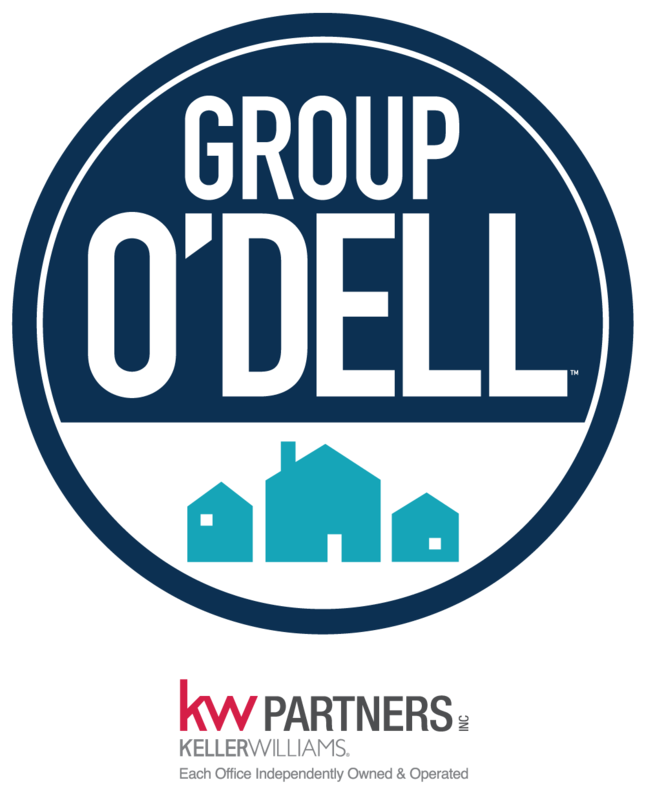 Group O’Dell clients receive one-on-one personal attention and special “Top Agent’ pricing! Offers quality name-brand flooring at the lowest possible prices. The region’s largest provider of StainMaster. They also offer tile, hardwood, laminate, vinyl, area rugs and commercial flooring. Free in-home consultations. With 35 years experience, Harry has been installing and refinishing hardwood floors and installs tile floors. Celebrating 41 years of Service! in floor coverings, countertops, & spindles. Offering countless options for flooring at a less than retail price. Installation always available. Providing basement waterproofing and foundation repair with pilings and anchors. Over 20 years of experience and guaranteed foundation work for 20 years no matter who lives in the house. All work done by John personally, no sub-contractors ever hired. Specialize in epoxy injections to repair cracks in foundation walls. Specializes in commercial and residential foundation repair, foundation stabilization, waterproofing, and mudjacking. Also offer financing. All work includes a “no hassle” transferable warranty. We provide experienced representation of our clients when a loved one dies by bringing the bereaved family the knowledge base and negotiating skills necessary to secure funeral products and services at the lowest cost. Quality Home Upholstering for all of your furniture needs. Call Angel for your In-Home Complimentary Design. Takes all Measurements, Furniture and Accessory Selection and even paint color selection. Garage Sale expert Lisa Payne has written a book entitled “Once Upon A Garage Sale...”. This is a great read for first time sellers getting ready to put on a first sale. It can be purchased at the website to the right. America’s best kept secret! Self-confessed foodies with a passion for eating & creating delicious cookies & chocolates. All cookies are baked from scratch using the best ingredients. Goodies can be sent in a gift basket or made just for you. Make gift giving easy! Tasteful gift giving ideas for all occasions. Same day orders accepted with delivery. Four convenient locations throughout Overland Park, Lenexa,Midtown and Prairie Village. Lisa has been in the beauty industry for 7 years and is trained in Redken hair color. She focuses her energy on educating herself on current styles, trends, and techniques. Aveda concept salon. Aimee is a master colorist and stylist with years of experience in helping clients find a look that works. Remodeler and handyman with over 25 years of experience. Does work throughout the metro area and has expertise in all areas of construction. No job too big or small. Prime provides homeowners with the ability to live a maintenance free lifestyle. Your single source solution for any of your home needs! Full-service junk removal company. They remove almost anything – from old furniture and appliances to garden waste and renovation debris. They also do all the loading and cleanup, wherever the items are – you don’t even need to get it to the curb! These Bros. serve the KC metro area with all of your hauling needs in a unique way. By Recycling and Donating they are serving others while you reap the benefits. Their work begins when they leave your home. Discounts for Seniors and Veterans. Family owned and operated for over 25 years. Exceptional and honest service throughout the KC Metro area. Residential & light commercial air conditioning & heating service, maintenance, repair and replacement. Third generation company serving the Greater Kansas City area since 1976. Richard Peterson is an Army veteran he and his wife Susan are taking new customers in the northland. The Petersons have been in the HVAC field for 33 years, and began serving the Kansas City area in 2004 after seeing a need for reliable and affordable comfort products. For reliable and trustworthy service give them a call! 17 years of experience providing appraisals for Primary and Secondary Mortgages, Mortgage Refinancing, Employee Relocation, Private Mortgage Insurance Removal, Estate Planning, and Divorce Settlement. Provides premier electronic security. National company, yet each office is locally owned and operated. They guarantee personal customer service and earn the privilege of securing client’s families each day by providing high quality installations without long term contracts. Offering a wide variety of cleaning options to meet everyone’s individual needs. One-time cleanings, deep cleanings, move IN/OUT cleanings, & regular scheduled cleanings available. Rates are reasonable and satisfaction is always guaranteed. Your full service Home inspection company including Termite, Radon & Mold serving the entire KC metro area. Specializes in camera and location of underground pipelines (sewer and drainage). Identifying problems quickly and early, as opposed to the conventional “guess and dig” method, saves customers a fortune. Offering consulting services for new and existing pools, spas, fountains, and water features. Because they are not in the pool construction or service business, they can provide you with an unbiased, neutral opinion. Emphasis is on reconstruction, rehabilitating and preserving - to be sure you get the most value for your investment. Offering consulting engineering services (structural, civil, mechanical/electrical/plumbing, restoration & forensic) on a wide variety of projects. Providing design & inspections services for new construction, existing building renovation & restoration, parking garage restoration, general & residential consulting. Creating a customer experience that is as important as the right coverage and features of the policy. KC Insurance can handle all of your insurance needs including: Auto, home, life disability, boat, motorcycle, landlord & renters, commercial liability, accident insurance, cancer, and long term care. Through the State Farm mission Henry is there to help people manage the risks of everyday life, recover from the unexpected and realize their dreams. With 30 years experience and bilingual background Henry is ready to serve. A Farmers insurance agency providing home, auto, business and life insurance with quality personal service. Offering a wide variety of occupational and employer discounts. Aflac helps policyholders with out-of-pocket expenses by paying them cash benefits directly. Even the best major medical policies don't cover your bills at home - that's where Aflac comes in. Consider an Aflac Accident, Cancer, Critical Illness, Disability or Hospital plan to help. Utilizes years of residential design experience and certification in home staging to assist and educate you on making your home more appealing to potential buyers. Strives to make every home desirable to all who enter. Angel uses a collaborative approach to achieve successful projects that are beautiful, comfortable and functional. Great pricing and attention to detail. Full service design firm with over 20 years of experience. Services include everything from paint color selections to whole home remodels. Providing custom designs, certified diamonds, appraisals and jewelry repair. J. Dillon Designs is a custom jewelry company, founded by John Dillon, master metalsmith and designer. Has 30 years of reputable and successful business! Call our friend Dana Connor designer extraordinaire for your one of a kind, design. Certified professional résumé writer and career coach helps assist job seekers who aspire to enhance their current career, change career paths, improve their personal branding, or start their own small business. They help put you on the right career track quickly and effectively so you can start realizing your dreams. Providing custom cabinetry, granite and marble as well as professional design solutions throughout the kc metro and beyond. Over 50 years of experience. If your kitchen is in need of an update, unless you’re considering changing the entire layout (moving the sink or appliances), CabinetReface can give you the new, custom look you want for about half the price of gutting your kitchen. Also providing new cabinets. Inviting you to come to their showroom to see the way the water flows out of your new faucets and the new trends at reasonable prices. In business for over 20 years serving contractors and home owners. Since 1992, they have been helping homeowners, businesses and commercial property owners transform the look of countertops, vanities, bathtubs and more. Their revolutionary, ultra-modern process allows a unique coating to be applied right over your existing surfaces. Your dreams are a big deal to the team at Monumental Outdoor. Monumental Outdoor Specializes in bringing dreams to life by creating landscapes, outdoor kitchens, fire features and outdoor living spaces for homeowners in the Kansas City Metro area. We exist to beautify your property, so you have the time and opportunity to focus on what matters most. All over the Kansas City metro area Sparker Industries transforms back yards into amazing living spaces. We create patios that include outdoor kitchens, outdoor fireplaces, fire pits, comfortable areas to sit, pergolas, seat walls, and even Wood or gas fired pizza ovens if you choose. Full service lawn maintenance & landscape offering design & installation of: landscapes, sprinkler systems, outdoor lighting & snow removal. Design work is computer drafted with 3-D renderings. Fully insured and licensed in KS and MO. Residential & Commercial. A family owned business for 30 years, they have grown from a father-and-son lawn mowing operation to a full service landscape design/build contractor. Solid reputation for excellence in commercial and residential landscape design, installation, and grounds maintenance. landscape, hardscape, fountain and pool area lighting, as well as indoor cabinet and entertainment area lighting. Including design, installation and maintenance. Free estimates and lifetime labor warranty. Professional coach, Victoria Rae MSC has relocated to KC from London. Offering executive and life coaching, she helps people discover fresh new perspectives and gain greater fulfillment at work and at home. Sheri is a life coach with 32 years of training and experience in education, spiritual formation, and coaching. She serves as a partner to individuals and businesses helping them define and pursue excellence in their personal and professional lives. Tim is a Certified Financial Coach working with Individuals and small businesses to take control of your finances. Helping you to set a budget and becoming debt free. Business-driven web platforms, membership sites, online courses, and marketing automation. We help speakers, authors, and other experts focus their brand and build a thriving business. We are a social media consulting and web development company based in Kansas City. Since we opened the doors in April of 2009, we have helped dozens of companies to embrace social media in meaningful and positive ways. Licensed and certified, they have been “killing” mold for over 10 years. Specializing in mold screening, indoor air quality sampling and mold remediation. Offers mold testing and home inspecting services in Kansas City. They also offer radon testing and mitigation, air purification treatments, and odor removal from things like pets, smoking, cooking, skunks, etc. ​Mold and mildew removal, cleaning and sanitization, mold odor removal, professional deodorization, mold inspection, mold testing, complete mold remediation. Professional local moving company created to move more than just your boxes. They’ll move you with hard work and genuine smiles. EASIER MOVES FOR OLDER ADULTS When it's time to move and simplify your lifestyle, all the work required to make that happen can seem overwhelming. While your family may wish to help, they may be busy of far away. A ResettleMe team can work with you to make your move manageable and also help make your new surroundings quickly feel like home again. Full service moving, packing, crating and storage. Local, long distance and international moving. Call JD Bowen for a free in-person estimate. Licensed, insured and award winning mudjacking company providing free estimtes and service throughout the KC Metro area. Helping companies with their office technology including copiers, printers, scanners, fax machines, and document imaging. From the initial consultation through installation and beyond,our unique process is designed for collaboration and creating a storage solution customized to you. Services include paper/file management, decluttering closets, offices, kitchens, basements, garages, and more. Assists new home owners with unpacking and organizing after a move. Licensed and insured. Confidentiality guaranteed. All Things Organized can help with all your home organization challenges. Services include sorting through what you currently own and organizing your space to make the most out of it--no matter the size of your storage options. Providing each client with quality professional service. Including wallpaper stripping, wallpaper hanging, minor wall prep, staining and finishing, interior painting of walls, ceilings, and woodwork, and specializing in small jobs. An honest and dependable company. Painting - prompt & tidy, home or office. Check out crestwoodpainting.com for “12 Questions to Ask Before You Hire a Painter” and other great tips. Offers interior and exterior painting and has over 30 years of experience. Provide service to all areas of the KC Metro. Full service pest management company serving the entire KC metro area. Serving Kansas City, Missouri with everything pet related. Committed to educating clients and keeping pets healthy year round. Offers full veterinary services including vaccinations, surgery, dental care, grooming and boarding. Education on the proper pet care, resources for medical care as well as food and dog houses to people experiencing financial limitations. If you know of a pet owner who needs assistance with basic needs-food, water and/or shelter, please have them call. Adoptions and community pet outreach as well. Caring and personalized services for your furry family member. Exceptional grooming. Appointments 5 days a week and walk-in nail trims welcome. All day play as part of the doggie day care and kenneled over-night boarding for your dogs and well-being. Mention “Group O’Dell” for VIP specials! Beyond the Dog, LLC is a full-service professional dog and cat training company, led by a Certified Applied Animal Behaviorist, that provides in-home behavior therapy and obedience training in the greater Kansas City metro area. The photo session is only the first half of the process. Tom then begins his studio work. He studies and lives with the images for a while, then the images start to build into a work of fine art. Natural light photographer specializing in newborns, children and family. Capturing life’s precious milestones. Family-owned & operated, full-service plumbing company serving Kansas City and beyond. Set the curve for the latest energy-efficient plumbing technologies. Lutz Plumbing, Inc. has kept the Kansas City community “Flowing Along Since 1920.” Owned and operated by 3rd and 4th generations of the Lutz family, we offer high quality plumbing and drain service at a fair price, with an emphasis on priority service for emergencies. We employ a full staff of master plumbers who work with our clients to provide the best options for every situation. Full service promotional agency delivering targeted experiences through the use of promotional and premium brands. Combined with creative, web, social media, and eStores, they deliver lasting impressions for our client’s marketing and sales initiatives. Apparel, calendars, gifts, drinkware, pens and much more! Providing brand management solutions. Committed to bringing ideas, inspiration, and tools to help customers grow their business and achieve success. They offer a broad array of printing, promotional products, and solutions that help customers implement their marketing. #1 Keller Williams team in the entire Midwest region providing full service realty to the entire KC metro area. Our focus is to serve clients before, during and after their transaction. A niche property management company specializing in leasing & management of residential homes in the greater KC area. Focused strictly on residential property management to deliver consistent quality services to clients without the distraction of residential sales. Full service restoration company who helps people who have experienced water, fire or smoke damage in their home/business. Also offer mold remediations & inspections, smoke & pet odor control & biohazard/hoarder cleanups. Uniformed Techs & Fully Insured! Hundreds of quality area rugs in stock with years of making and designing rugs from the most basic to complex. In home consultations available. Whether you’re looking for a staircase makeover or need to recarpet your whole house, they have all the options you’re looking for. An internet based comAn internet based company offering a wide array of products for the sports fan. They strive to offfer great prices and service on name brand sports apparel and goods. Large selection of 47 Brand Hats. Team items for Kansas, Missouri, Royals, Chiefs and many more.pany offering a wide array of products for the sports fan. They strive to offfer great prices and service on name brand sports apparel and goods. Large selection of New Era Fitted Hats. Team items for Kansas, Missouri, Royals, Chiefs and many more. Something White offers an exclusive selection of wedding gowns and accessories as well as gorgeous dresses for your bridesmaids. Whether you envision something classic, elegant, sweet, glamorous, chic, fun or sophisticated – you are sure to find the gown of your dreams at Something White Bride Boutique. Tower clocks, restore & repair, house calls, antique music boxes restored, antique clocks bought & sold, antique & modern clocks available. Providing customers with a quality roof to protect their homes at a fair price and take great pride in their work. Join the many satisfied customers by calling today for your free, written estimate. Residential and commercial roofing contractor who provides installation and repair of roofing, siding & gutters. Also works with flat roof, coatings and wood shake repair. Installation and repair of sewer and gas lines as well as pumping and installation of septic tanks. Licensed and bonded. Design, install, maintain & repair septic systems in Johnson & Miami Counties. Install & repair water services & sewer lines. Licensed, insured & in business for 25 yrs. Member of NOWRA (Nat’l Onsite Wastewater Recycling Assoc) & Board member for the state equivalent, KS Small Flows Assoc. Experts in the correct methods to ensure the highest quality of work on your home. Expertise in synthetic stucco siding, traditional stucco siding, and interior plastering. Serving the Kansas City area since 1970 and fully insured. Specialize in many areas of construction: seamless aluminum gutter, vinyl siding, windows, soffit & fascia, insulation, and certified lightning protection. Refreshing, friendly, customer service oriented company whose first priority is the client. They understand the stress associated with purchasing or refinancing a home and are available to answer any questions or concerns you may have regarding your settlement. Historical Bus TouHistorical Bus Tours of Kansas City and Re-enactments of President Eisenhower, Wilbur Wright, and more!rs of Kansas City and Re-enactments! Provide first calss ground transportation for all of your special occassions. Offering a wide variety of limousines to choose from, we service the entire KC metro area. Flat rate black car service of $75 to the airport and $60 to downtown (including Sprint Center and other events) from Overland Park and Leawood. Safe, affordable group transportation solutions for about 50% the cost of coach. With locations across Kansas City, leave the driving to us! We are committed to offering customized vacation and travel planning services of the highest quality for astute travelers seeking one-on-one travel planning assistance. Our experience and commitment to customer satisfaction has earned us a stellar reputation as one of the most customer-focused and genuinely passionate concierge travel agencies nationwide. Licensed and insured full service tree care company with over 30 years of experience. We utilize some of the best equipment available to insure the job is done to your satisfaction today and years from now. In business for 18 years. Serving Kansas, KC Metro and beyond. Tree trimming, tree removal and stump grinding. Free Estimates. Helping residential and commercial owners maintain their trees and shrubs. Experts in tree, shrub, & stump removal. Also offering pruning and trimming. Insured and offers free estimates! Unlike any other math enrichment program, theirs is designed to get students excited about math. They offer game-based enrichment classes, 1-on-1 support, robotics classes, Math Olympiads, Vedic Math courses and FUN summer camps. Transform your home with color! Interior painting and staining, wallpaper and removal, and color design consultant. Wallpaper removal, wall repair, ceilings resurfaced, popcorn removal, sheetrock/tape/ mudd, texture work and now application of variance finishes. Wellness sanctuary in the Crossroads. They offer chiropractic, massage, yoga and ayurveda. Just as their offerings of services and classes are rich in tradition, the practitioners and teachers are full of knowledge, expertise, and heart. Provide solutions to home and business owners alike. It is our commitment to be the most reliable and valuable way to restore and maintain the beauty of your windows. Commercial Window Cleaning. Family owned & operated for over 60 years. The company was built & operates on sound principles of consistent performance, quality service & ethical business practices. Keeping your business clearly visible! Barbette Jones, among Kansas City’s most prominent window covering designers, heads this creative and versatile full service, shop-at-home window coverings design firm. Specializing in draperies, blinds, shades and shutters. Focused on energy savings and personal security and passionate about protecting the environment while making your home, business or vehicle a more comfortable place to be. Traditional & plantation shutters made for each individual window in unlimited paint & stain colors. Well-trained, caring and reliable crews have years of experience installing affordable doors and windows in the local Kansas City area, and are dedicated to ensuring 100% satisfaction with each and every job. Wholesale supplier of windows, siding and doors. Specialize in customer service. Over 20 years of experience.